Iran says it will in all likelihood receive the necessary trade and banking guarantees from Europe to sustain a 2015 nuclear deal, which the United States has withdrawn from and which Washington has been attempting to break up. In an interview with the Iran Daily published on Wednesday, Iranian Foreign Minister Mohammad Javad Zarif referred to an array of measures being prepared or taken by Europe to keep the deal economically meaningful for Iran and sounded optimistic that those measures would be effective. Iran reached a deal with originally six world powers in 2015, agreeing to limit its nuclear program in return for mainly the lifting of restrictions on its oil sales. While the former US administration — with which Iran negotiated — was a party to the deal, the current administration of President Donald Trump chose to unilaterally stop implementing all American commitments under the agreement and ultimately withdrew from it on May 8. The Trump administration also reintroduced the previous sanctions and imposed new ones on the Islamic Republic. A first round of American sanctions — targeting Iranian access to the US dollar, metals trading, coal, industrial software, and auto sector — took effect on Tuesday. Europe has been taking a range of measures to meet the Iranian demand for practical guarantees that the Islamic Republic will continue to reap the economic benefits that it is contractually entitled to. 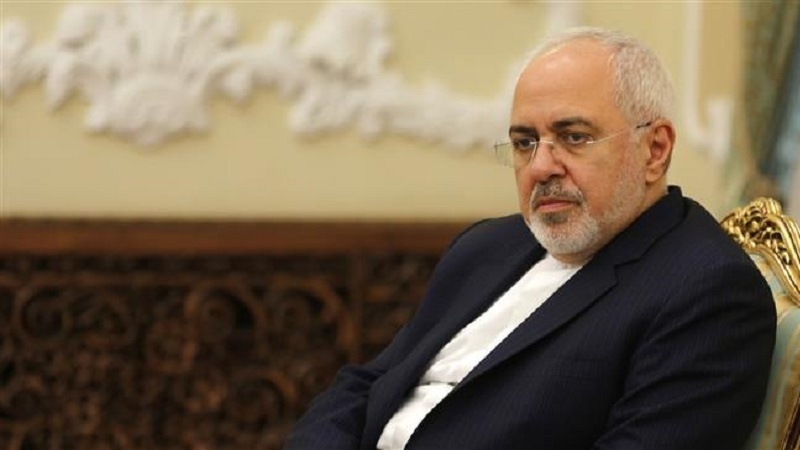 In his Wednesday interview, Foreign Minister Zarif voiced tacit satisfaction with those measures but stressed that they were yet to take actual effect and had to be implemented more quickly. “Europe’s package of proposals [to Iran] has clear delineations, and the general ideas in it have been enumerated. Among them is to keep banking channels for financial transactions with Iran open and to preserve [Iran’s] oil sales at their current level. The sanctions that have to do with these areas will come in November,” he said. He also referred to other European efforts to sustain the deal, including the activation of a “blocking statute” to protect those European businesses that choose to stay in Iran from American penalties and, notably, lobbying with non-European countries to either start buying Iran’s oil or increase their purchases of crude from the country. “During my [recent] trip to Singapore…, I concluded that the Europeans are not only working to sustain the JCPOA inside of Europe but that they have taken extensive measures [to that effect] outside of it, too,” Zarif added, using an abbreviation to refer to the Joint Comprehensive Plan of Action, the official title of the 2015 Iran deal. He said the Europeans have asked other countries to open bank accounts for Iran’s Central Bank — to facilitate direct transactions and non-reliance on the American financial system — and said Europe itself is currently working to do the same.